Joseph Bates was born in 1853 in Yorkshire and was my great grandmother’s half-brother. 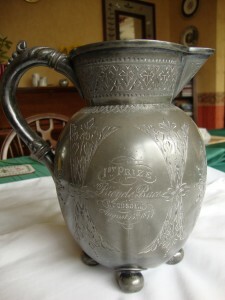 His father was John Bates, who was a carpet-mill owner in Dewsbury and twice mayor of Dewsbury. 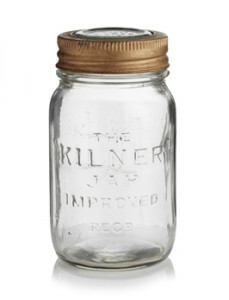 One of Joseph’s brothers-in-law was Caleb Kilner, who invented and manufactured the Kilner preserving jars (and was very wealthy!). Family rumour has it that after John Bates’s death in 1884, Joseph and his older brother Samuel took over the running of the carpet mill, but that they suffered a fire there a couple of years later and it was ruinous, as they were not insured. Rumour also has it that Joseph Bates then emigrated to Australia and was never heard of again, despite the family spending a fair bit of time and money trying to contact him. Just before he died, my dad told me about a trip out on his bike he’d had at about the age of 3 with his granddad. I’d already heard earlier about the disagreement my dad had had with a lamp post while he was out on his bike as a teenager (resulting in the loss of two front teeth). But that was not in Yorkshire (my dad was an “offcumden”). However, a vivid memory from my own childhood is of my learning to ride a two wheeled bike (before stabilisers were available) by riding on my grandma’s (large) lawn with dad running behind me holding onto the saddle. Also his teaching me the breast-stoke by laying me tummy-down over the piano stool and showing me how to move my arms and legs!